A celebration of the completion of construction of West of Duddon Sands Offshore Windfarm, officially opened on 30th October 2014 by Secretary of State for Energy & Climate Change Rt. Hon. Edward Davey MP, Chairman of ScottishPower Mr. Ignacio S. Galan CBE and Executive Vice President Wind Power of DONG Energy Mr. Samuel Leupold. The windfarm is located in the Irish Sea, off the Cumbrian coast, close to Walney Island and generates up to 389 megawatts of power from 108 turbines. The project was developed through a ScottishPower Renewables and DONG Energy joint venture. Currently the offshore wind farm Sandbank is under construction. In summer 2015 the foundation installation works started and in February 2016 the last MPs and TPs were successfully installed. 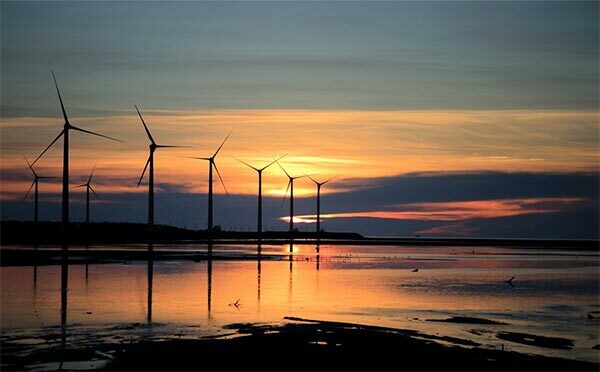 Construction is being carried out off the German North Sea coastline, in a project area located roughly 90 km west of the island of Sylt and in direct neighborhood to the offshore wind farm DanTysk which was commissioned in 2015. The construction features 72 Monopiles with a 6 m diameter and a length of up to 70 m. The longest piles weigh 900 t. The foundations are produced on dry land and transported on our barges to the load out harbor in Esbjerg. There, they are loaded on to the installation vessel Pacific Orca and transported directly to the project area. The Monopiles are rammed into the seabed with the at the moment largest hydraulic hammer in the world, Menck’s MHU 3500S. Two systems are used for noise mitigation: 1. hydro sound dampers net (near-field system) and 2. big, double bubble curtain (far-field system). Once completed, the offshore wind farm Sandbank will provide electricity to approximately 400,000 households. This video shows the construction of the Coega wind farm. ALE was involved in the handling and transportation of all major components for the Coega wind farm in Oyster Bay, Eastern Cape, South Africa. This included the handling and transportation of 32 N100 R80 wind turbine generators, consisting of three blades, a nacelle, hub, drive trains and four tower sections, along with the associated equipment, all varying in weight and dimensions. Europe accounted for 48% of the world total wind power generation capacity in 2009. 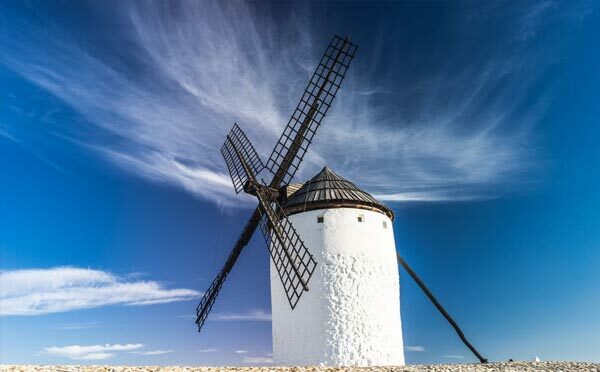 In 2010, Spain became Europe’s leading producer of wind energy, achieving 42,976 GWh. Germany held the top spot in Europe in terms of installed capacity. London Array is the largest offshore wind farm currently in existence (as of 2014). Our contribution to this mega-project was design, fabrication and installation of the foundations, as well as transport and installation of the turbines. The 175 wind power generators, with a 630 MW capacity, are situated in the Thames estuary, roughly 20 km off the coast of Kent and Essex. The project is divided into two phases and will, after completion of the second phase, provide electricity to 750,000 households. The 177 monopiles are up to 60 m in length and have diameters ranging between 4.7 and 5.7 m. With the longest weighing roughly 650 t, they were driven up to 25 m into the seabed. The transition pieces, connecting the foundation and the wind power system, each weigh 350 t and are 27 m long. A total of 100,000 t of steel was used for the foundations. The monopiles were manufactured in Rostock, while the transition pieces were constructed in Denmark. Once production was complete, the monopiles and transition pieces were transported on barges to the port of Harwich in Great Britain, where they were loaded onto special installation ships and taken to the project area. Construction of the largest land-based wind turbine ever built in the United States. 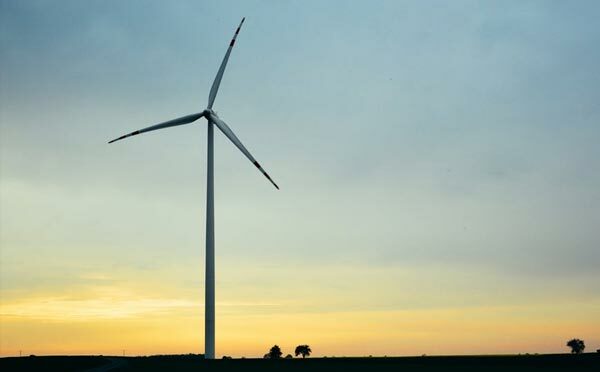 “Reaching New Heights” uses a combination of time-lapse footage, aerial photography and behind-the-scenes action shots to document the steps involved in building MidAmerican Energy’s first concrete wind turbine tower, located at the company’s Adams wind farm in Adams County, Iowa. At 379 feet from ground to hub, the concrete turbine is more than 100 feet taller than its neighboring turbines constructed with steel towers. Down Wind is the explosive documentary that examines Ontario’s controversial rush into industrial wind farm development. Produced by Surge Media, Down Wind exposes how this Canadian provinces’ green energy dream turned into a nightmare for rural residents forced to live among the towering 50 storey turbines. We hear searing, personal stories of people experiencing mysterious health problems, insomnia, depression, even thoughts of suicide; their lives turned upside down by the constant noise and vibrations given off by the massive wind turbines. The documentary also reveals the staggering economic costs of these wind farms to taxpayers with huge subsidies going to big wind corporations. And how inside connections have made some government cronies wealthy, while rural communities suffer. Sea conditions prohibited transfer to and from turbine by vessel so helicopter was used to access turbine for maintenance. Wind speeds during transfer varied between 15 – 20 m/s (33 – 45 mph). For normal transfer vessels, the trip to the wind farm from the port of Grimsby is 2 hours. Flight time to site by helicopter from Humberside Airport is around 12 minutes. Training requirements for helicopter transfer include, HUET (Helicopter Underwater Evacuation Training), Tower Rescue Up, and Helicopter Hoist Operator training.